Activist Harry Wu spent 19 years in Mao's labour camps and devoted years to uncovering what goes on in China's 'laogai' or 'reform-through-labour' camps. 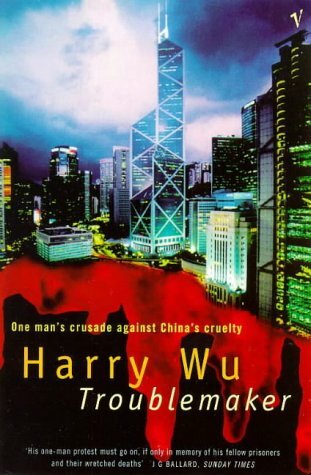 He picks five books showing China's darker side. 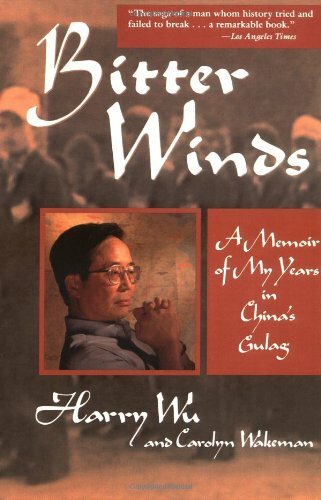 Harry Wu was a 21-year-old student when he was arrested as a “rightist counter revolutionary” and sentenced to life in a labour camp or laogai. It was only after the death of Mao 19 years later that he was released in 1979. He fled to the United States to start a new life but never forgot the horrors he endured. He dedicated much of his life to a campaign for greater recognition of the millions of Chinese people who suffered and died in the laogai and set up the Laogai Research Foundation to gather information on and raise public awareness. 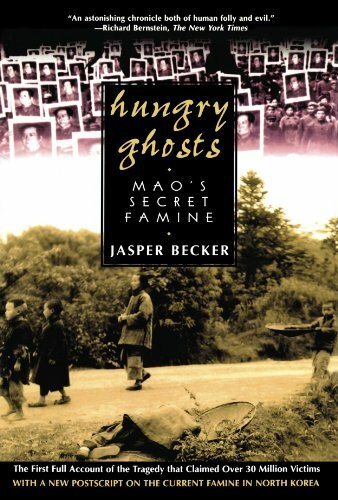 Let’s start with Hungry Ghosts by Jasper Becker. This is all about the famine in China from 1958-1962. It was very much part of Mao’s plan, ‘The Great Leap Forward’. So the book is a historical record of how many people died, maybe 35 to 40 million, although the Chinese authorities still refuse to release all the information. The author, Jasper Becker, had lived in China for many years as a correspondent. There’s this idea that the peasants were ill-trained and just didn’t have the technology to achieve the Communists’ ambitious farming revolution. Yes, everyone was supposed to work for the people’s commune and increase their output, but they couldn’t cope with the changes, trying to expand farming output and centralise industry. It all led to this terrible famine. Considering it’s so hard to find proper information on this, how did Becker manage? He went on two treks into the Chinese provinces where he spoke to the people living there about what had happened and he hunted down documents about that period. I know that throughout history there have been many famines, in Europe and the Soviet Union. But, I don’t think many people realise just how many people died during those years of famine in China. Communist China refused to tell the people the truth and the propaganda machine kicked in. They said that Chinese output was outstripping the US. 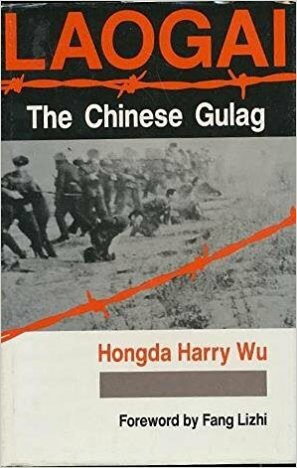 Today China is still controlled by the Communists, but I think people need to know about what went on and books like this tell us the truth. 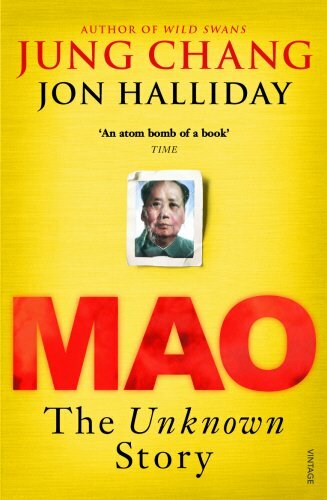 In your next book Jung Chang sets out to reveal the real Mao. To this day we don’t really know much about Mao’s personal history. The Communist Party portrays him as the Great Leader. His smiling image is everywhere. Even the political system still follows his model. So what Chang did was delve deeper to discover who is the real Mao? You hear from people like his private doctor talking about his personal history. Tell me more about this private side of Mao. Even today he’s still very much respected as the person who opened the way to China’s Communist future. But the book tells a different story; it was all about Mao and his quest for power. Even though he was born a peasant all he wanted was to become another Chinese Emperor. He killed so many people along the way. There are estimates that it was somewhere between 50 and 70 million; that’s more than any other 20th-century leader. And that was all just to keep him in power? Yes, everyone had to listen to him and if they didn’t they’d be killed. Finally in 1976 he died. But we still don’t know all the details of what he did and I think we need to do some more digging to expose him. Just like we finally exposed Stalin and Hitler. You’re obviously a fan of Jung Chang because another book on your list is her earlier book Wild Swans. Yes, I am. This is much more of a personal story about Jung’s life and her mother’s and grandmother’s life. What we’re looking at is three generations of Chinese women describing their life in China. I don’t think that people in the outside world really understood what was going on in China. For example, the food, meat, eggs, even clothing – if you wanted to buy anything you needed a government-issued coupon. Everyone was suffering. Your life wasn’t your own. You even needed to ask permission to get married. 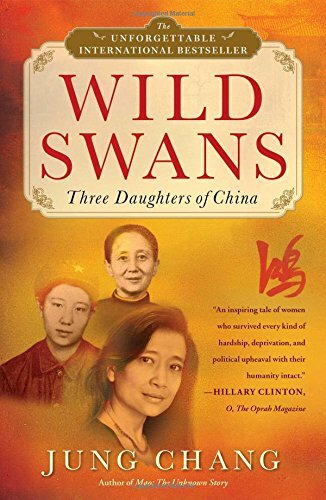 Wild Swans is talking about people who are living at the highest level of society but they are still suffering persecution and live in fear. And the peasants in the village became slaves, they became nothing. So what the book does brilliantly is give a real insight into what life was like for ordinary people against the backdrop of the ever-changing China. Your next book is all about dilemmas. 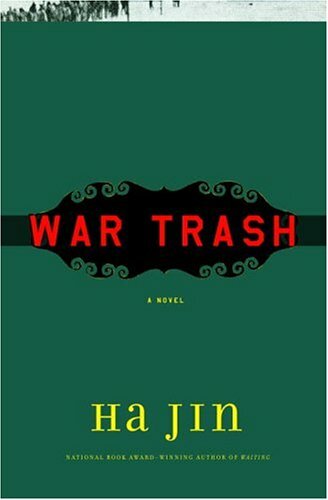 War Trash is about a young Chinese army officer sent by Mao to help the Communist side in Korea. When the Americans capture Yu, his knowledge of English means that he becomes the unofficial interpreter in the POW camp. All he wants to do is return to his fiancée and widowed mother, but he’s trapped by politics. Tell me about the author. It’s written by a young Chinese author who came to the United States. 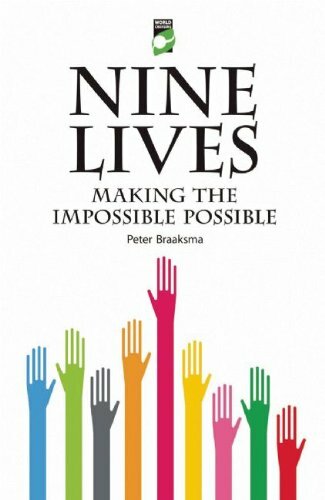 He wrote this book in his second language and still won lots of awards for it, which is very impressive. I think this is a really good book to show the West more about what is going on in China. People think that it’s all about economic growth but there is so much more to our history than that. 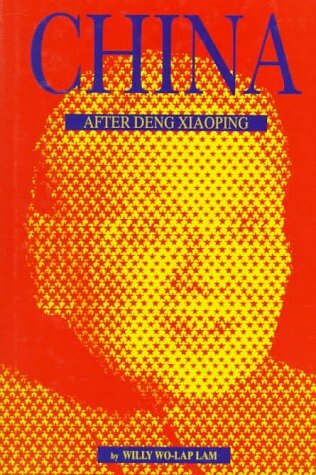 Your final book, China after Deng Xiaoping: the Power Struggle in Beijing since Tiananmen, is more about modern-day China. Yes, the author is from Hong Kong. He was a newspaper correspondent for many years and he’s written lots of articles about the current situation. Later he was punished by the Chinese for telling the truth. The Chinese media is completely controlled by the Communist Party Propaganda Department. If you violate the rule of the department you will be punished. What Willy Wo-Lap Lam is doing is talking about the power struggles going on in the highest levels. And would it be dangerous for him to write a book like this? What would happen if he went back to China? He can’t go back to China. If he went back he would be persecuted for talking about state secrets. He’s talking about the politburo and the high level. They would see him very much as a troublemaker, which is the title of a book you have written about yourself. There are some definite similarities here. Well, yes, that’s my personal experience. I was in a Chinese prison camp for 19 years but it’s over. I was released in 1979 and I came to the US in 1985. But later on I was rearrested by the Chinese government for going back to China to look at the labour camps and they sentenced me to 15 years back in prison. They charged me with stealing state secrets. But you were released after a high-profile international campaign. Yes, people like Hillary Clinton got involved to release me. But I am still not allowed back to China. I only care about Chinese labour camps. I only wanted to talk to a doctor who I thought was involved with the Chinese government in removing organs from the prisoners when they died. We don’t know how many prisoners are executed every year. Is my wanting to know more about the situation violating some kind of state secret? Today I am 72 years old. I just want to tell people if you want to maintain the Chinese Communist Party rule in the country you definitely have to set up labour camp systems. That is their way of keeping control over people who speak out. The Soviets had the gulag system and the Soviets helped the Chinese set up the labour camp or laogai systems as they are called. So why don’t we tell people about it? We talk about the gulags and the Holocaust, but the Chinese labour camps don’t get spoken about. We’re talking about around 50 million deaths. You are still obviously very much involved in campaigning against human rights abuses in China. All of your book choices are about raising awareness. But the Chinese government would argue that they are reforming, albeit slowly. Yes, but the laogai camps still exist. We should care about that. There are endless museums to commemorate the Holocaust. What about the people who died in China? But the world just cares about economics and doing business with China. I was very surprised when the Chinese President was an honoured guest at the White House. Why don’t they invite Fidel Castro!